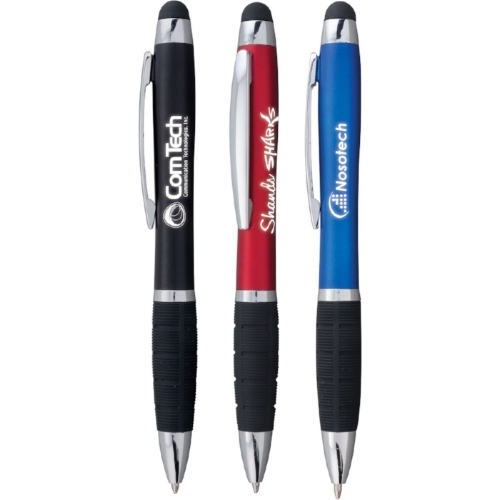 Go to our promotional products page to see our full list of products. 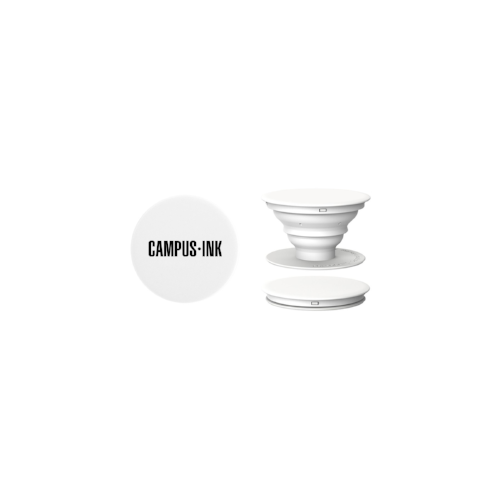 -These pens are a staple piece for us at Campus Ink. Everyone in the office uses them and we give them away for promotional prizes. The pen itself its great but it is the light up aspect that brings all the fun. When you give them away you can even use the overused yet still relevant pun of “we’re lit!” then you turn the light on and give it away. -Our pones are getting bigger and harder to hold. Pop sockets are the perfect promo product for anyone and everyone. Also, everyone has their phone on them 24/7 so putting some of your company’s branding on it is a great idea. 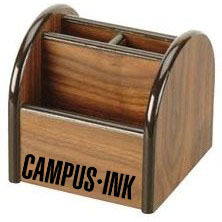 -A desk caddy is a good way to make sure your employees have an organized desk space. This one specifically good because it is much more stylish than your usual plastic caddy that makes your desk look like that of every other company. 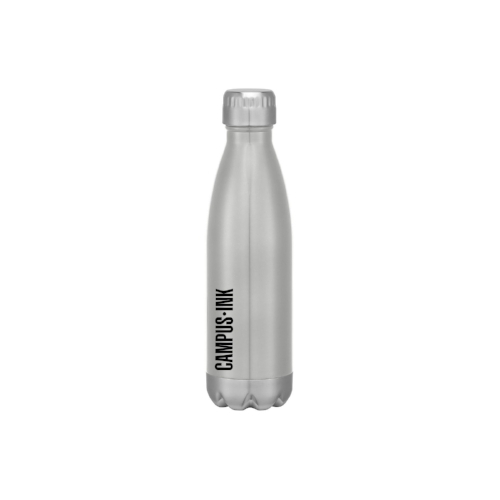 -Stainless steal water bottles will help the whole office stay hydrated and healthy. Plus, they are reusable and will cut back on waster. These stainless steal ones will help keep your bring cold or warm for the entire work day. -Having a branded business card holder on your desk ads a hint of professionalism to any office. They are also especially useful for dad to day meetings and and other situations when professionals will be in your office.